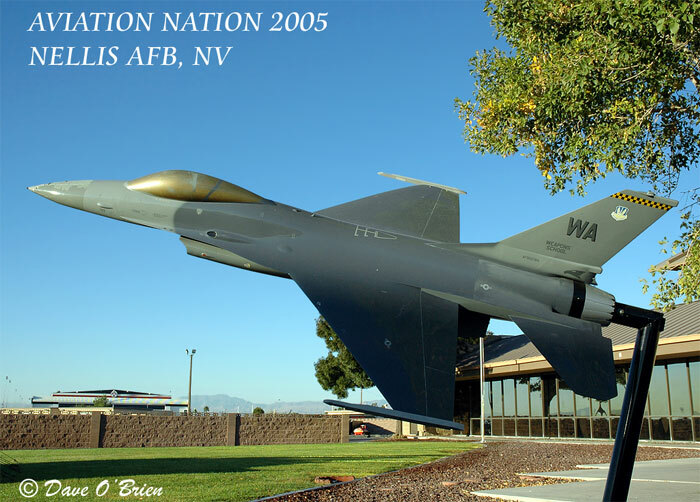 This was my first trip ever to Nellis so I was very, very excited! I arrived Thursday afternoon to the sight of 2 F-22 Raptors in the pattern. I had to pick up my press credentials at the race track just north of the airbase. Thanks so much to Fencecheck.com for helping me obtain these! I sat outside the track which was the approach end of RW21R. I was there long enough to catch the demo Harriers fly in, the B-25�s and a MC-130 which departed shortly after. Having Sunrise Mountain as a back drop is just mouth dropping in the late afternoon. Friday morning was media day and we needed to check in at 6:30am. The PAO office at Nellis was fantastic. Thorough checks, but the waiting was very short. We boarded two buses to drive us around the ramp to the different acts. They set up interviews with the Harrier Demo team, West Coast F-16 team, the 2 Phantom Pilots, both Mustang pilots, Bob Reese of the Red Bull Mig, Ed Hammill, Sean D Tucker and the Patriots L-39 demo pilots. The Raptor pilot and East Coast F-15 demo pilots weren't around when we were on the ramp but to see the F-22 so close was great. Next to the Raptor they had a mock up of the JSF. The ramp was a little scarce from other years according to other photographers who have been there prior. No showing at all from the Navy which seemed to be a trend this year at all the shows I've been to. I would have loved to seen the 3 Aggressor paint schemes used for the Vipers, the only one on display was the Blue Lizzard scheme. They did have 2 British Harriers and a Tornado, as well as 2 ATAC F-21 Kfirs. Other aircraft were most of the home units, 2 F-15C's & E's, 2 F-16s, one with the OT tail code and the other with WA. 2 home based A-10s and 2 MH-60 Pavehawks also filled the ramp. A KC-135R from Andrews, E-3 Sentry, KC-10 from Travis, a couple T-38's a T-37 and a CH-53 Super Stallion. One of the highlights was the 3 drones on display. The Predator, the Air Force's X-45 and then a Navy version. There was also a big showing of privately own older aircraft. Some of them were A-4 Skyhawk, a T-38 that is painted in the old Thunderbird paint scheme owned by Ross Perault Jr. Near the Vietnam demo was a DC-3, C-47 Spooky, AT-37 Dragonfly, and 2 A-1 Sky Raiders. The theme of this airshow was to welcome back the Vietnam Vets as they received no welcome when they returned home. As far as watching the demo's the WC Vipers went up early in the morning so the sun was difficult as you were shooting into when they were up. The Harrier and F-15 was awesome, I haven't seen a Harrier demo in about 4 years. You forget how loud these aircraft are! Ed Hammill and Sean Tucker went up at the same time and split their practice time. To show that not everything stops for an airshow, 2 F-117's had just come back from the ranges and pulled a separation break over the center line and landed on the far runway and then taxied on the west taxi way away from us. It would have been great if they had them taxi by us. Most of us were waiting for the Heritage Flight so we could see the Raptor fly. First the 2 P-51 Mustangs took off on RW3L, and the F-4 Phantom and the Raptor took off on RW3R. The Phantom was awesome looking against the mountains in the back. The Raptor just climbed straight up and when it got to about 5,000ft it just leveled off. It has such a different sound. After they preformed their 3 Ship formation and the 2 Mustangs and Phantom landed, the Raptor gave us a few photo passes. 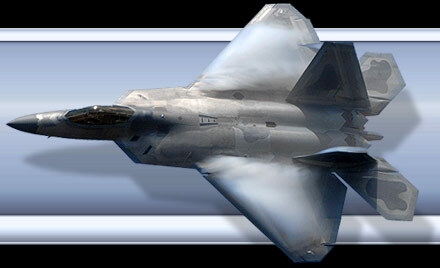 I personally can not wait for the EC F-15 team to switch over to these Raptors. The Thunderbirds went up with their 2 F-16D's and in the back seat were the 2 new pilots for next year. Their practice went off with out any problems and they returned to show center. The PAO department allowed us to hang around longer to get some sunset shots on the ramp which was a totally different experience as all the airshows I hit in the summer the sun doesn't set till 8pm. There it sets around 5pm so you don't have to hang around long. Saturday and Sunday the shows included the Vietnam mock rescue which the 2 A-1s, OV-10 Bronco, AT-37 Dragonfly, C-47 and 3 Huey's took part in. They used the runways as tree lines for NVA movement and the OV-10 came in to mark where the A-1's need to strafe. The Bronco called in the AT-37 to napalm the same tree line, the Spooky came around to strafe some more. After the Dragonfly's second pass they pretended he was hit and that they needed to call in a rescue of the 2 downed pilots. 3 UH-1's came in, 2 low to pick up the 2 downed pilots and the 3rd stayed high for cover. EAA race birds, which are custom built aircraft that fly in large formations. There was a T-6 group of aircraft which performed a race around the tower. There were many highlights for this show, but for me seeing the Raptor fly was the TOP. The Thunderbirds put on a great show both days flying a missing man formation for the Vets which was a real nice touch. Saturday after the Thunderbirds landed they had a Predator fly over the runway and pretend it fired a Maverick with a small explosion, no site of him on Sunday. This was the home coming for the Thunderbirds and the finally to the 2005 Airshow season.